Dreaming of Taking Off as a Pilot? Here’s 7 Reasons to Take Flying Lessons in Minnesota. If you’re looking for a unique location to do your flight training, look no further than the state of Minnesota. 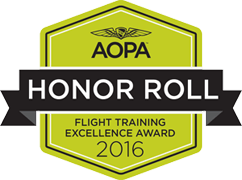 The state offers a truly unique and diversified experience for all pilots and supports a strong and stable training environment. Here’s 7 reasons why you should choose Minnesota for all your pilot training needs! Experience flying in all four seasons. Many students choose to train in coastal locations that only truly experience one or two seasons a year. While some think, this will give them a lot of flying days, flights are often cancelled in these regions due to thunderstorms, fog, or just low level clouds in general. Minnesota offers a mix of all seasons. While flying in the winter may not be ideal on some days, it provides extremely important experience for cold weather operations and learning in a completely different environment. Spring and summer provide ample daylight time for training, some days we receive as much as 16 hours of daylight time. Fall provides endless clear days with beautiful views from above. In terms of flying and experiencing different environments, Minnesota will certainly give you just that. Minnesota has a very sought after, central location. If you are coming to the state for training purposes, or even if you are a Minnesota native, we have 8 airports with scheduled carrier services making an easy commute if you’re going back home or even just leaving town for a vacation. Although we always push our students to go get more experience flying in different types of terrain, for training purposes, the great plains offer ideal conditions. The layout of the fields and roads make for easy navigating as well as great for the many ground reference maneuvers you will do. They also provide a great view from above! Minnesota has many controlled and uncontrolled airports, giving pilots experience dealing with both kinds of environments. The state boasts 97 airports for public use. The layout of airspace also gives pilots experience dealing with different kinds of airspace throughout their training. If you’re looking to train in the cities, Flying Cloud Airport (KFCM) offers a central location and a great mix of operations. From General Aviation operations, to the large amount of corporate jet traffic, pilots will train here with some well-rounded experience. Minnesota boasts some of the best flying locations in the country. Along the eastern border of the state, with Wisconsin we share some truly majestic scenery. The St. Croix river is just a hop away from the Twin cities or any other airport in Minnesota, here you can cruise above gorgeous granite cliffs, scattered with endless green vegetation. For a special treat, go up to Duluth during the fall and summer months for truly breathtaking views and colors. Because the state has always been the choice for many pilots to call home, Minnesota has in general a great flying community. Year around the state and its various clubs and organizations., plan many events for communities. You can almost find a fly in to drop into every weekend, during the busy summer months, many airshows are organized. The vast number of clubs one can join too, helps pilots network to the people around them. We can’t forget the seaplane flying here, after all it is named the “land of 10,000 lakes.” The state has just under 60 seaplane bases for pilot to venture to or go lake hopping in the warmer months. One of the most popular ones is Maddens on Gull lake. Located near the town of Brainerd, Maddens is in the heart of lake land, and boasts stunning scenery for flying. 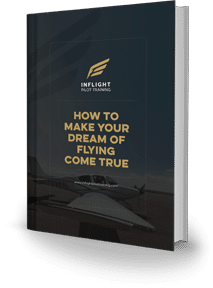 Thanks for reading “Dreaming of taking off as a pilot? Here’s 7 reasons to take flying lessons in Minnesota.” 🙂 Come back to our blog for more in the future.